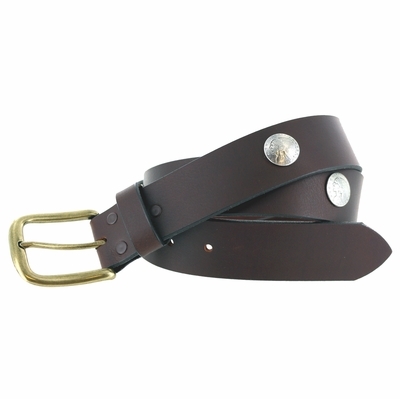 Matching Leather Loop, adorned with 5 - $5.00 Indian Head Reproduction Coin Conchos Buckle: Antique Brass Finish Belt Buckle. Also comes with Easy Snaps for adding interchangeable different buckles. Sizes Available: 32" through 44"